For TU!Hotel ; the rest is essential. Normally we use hotels for our holidays or for work, the relevancy of this act has led us to offer articles that it bets for the comfort and an equipment in which the quality be the protagonist. 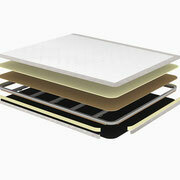 We are sure of our range of products that you need and adapt to your budget. ¿What to choose? Each hotel has it category and budget, in Tu!Hotel we adapt us to each situation and circumstance offering to you Bases and Box Spring in diffrent levels, always respecting the quality and the highest level so that your customer has a good rest. 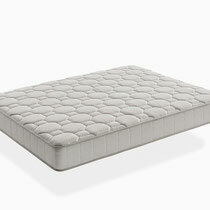 esistance and breathability, with fireproof materials and woven and fabrics of easy cleanliness. Boxes offer you a modern and modern appearance in the room . With a linear design which is the best in the interior : Springs Bonnell and the 3D Mesh, sure, breathable and comfortable . 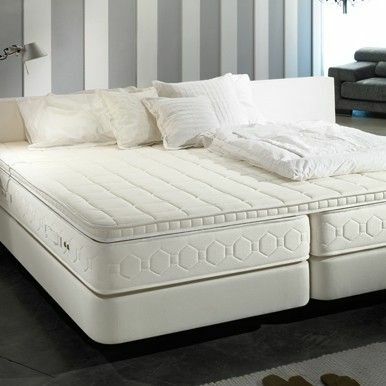 The upholstered base Suydi offer you the possibility to configurate your own bed with a comfortable manner and simple one with an economic price . Reforced with five cross bars which resists into 100 Kg/m, it's the light support . 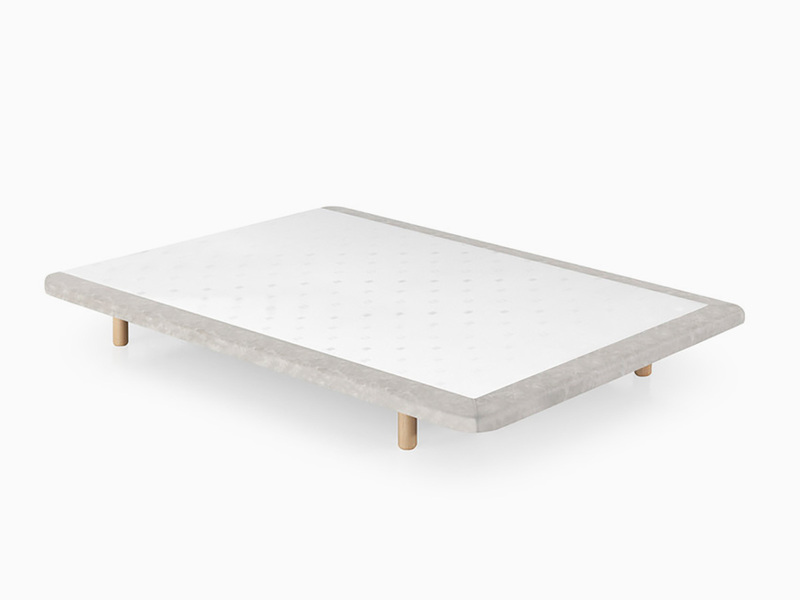 In big measures, the lid of the upholstered base divides between two linked parts by two stainless steel bars to give the majore resistance in the middle. It fabric of bottom anti-dust maintains the arcs far away for a good rest. 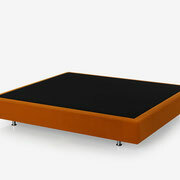 Disponible also in any upholstered and legs. The upholstered base with a microsprings Toppu offers you a sure support with a soft reception through it cape of microsprings bagging Reforced with five cross bars which resists untill 100 Kg/m² It's a support the most light and resistent . con cinco barras transversales resistentes hasta 100 Kg/ m² es el soporte más ligero y resistente. 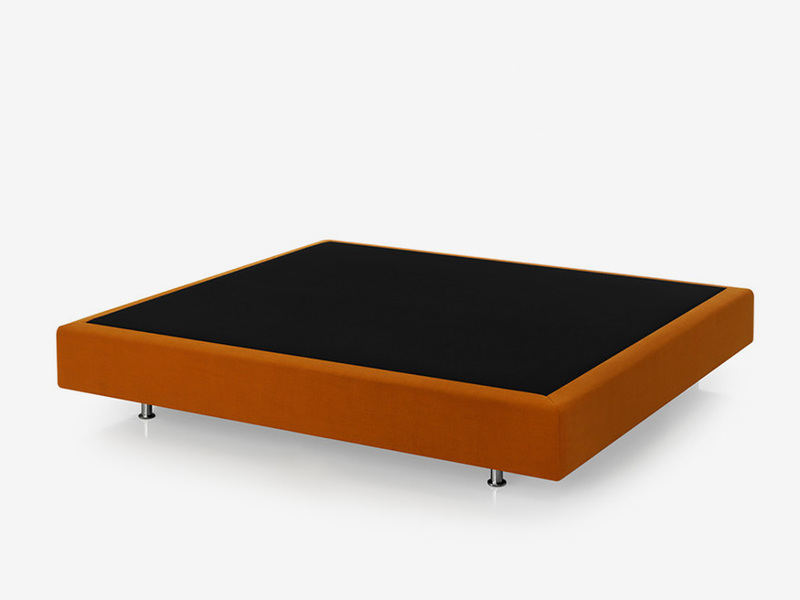 In big measures, the lid of the upholstered base divides between two linked parts by two stainless steel bars to give the majore resistance in the middle. It fabric of bottom anti-dust maintains the arcs far away for a good rest. Disponible also in any upholstered and legs. The upholstered base Raddo offers you a sure and safe support with a warm and soft receipt through it foam layer HR D-28 Kg/m. Reforced on five cross bars with resistance until 100 Kg/m& it's a support the most light and safe. 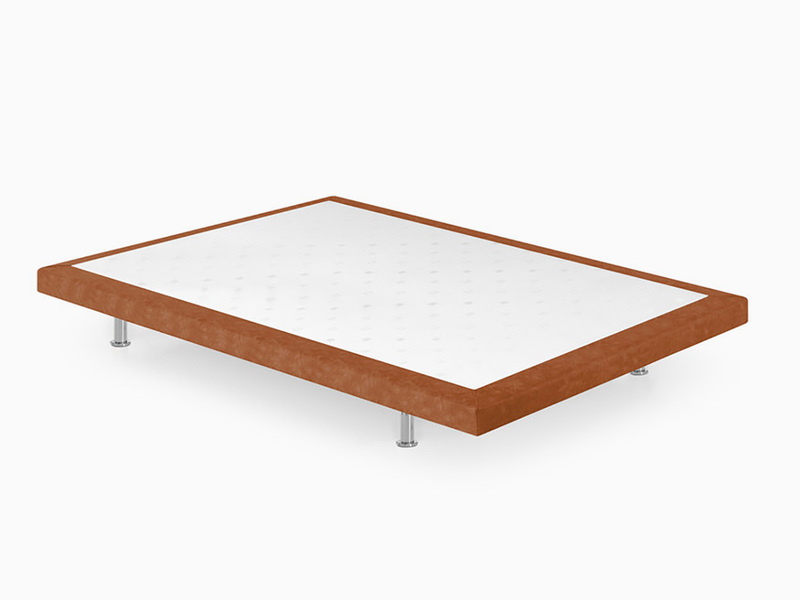 In big measures, the lid of the upholstered base divides between two linked parts by two stainless steel bars to give the majore resistance in the middle. It fabric of bottom anti-dust maintains the arcs far away for a good rest. Disponible also in any upholstered and legs. The mattress of a good quality it's the thing which the customer never can forget. After a good day of work or holidays everytime when we arrive at room of our hptel and because we need to take a rest, for this reason TU!Hotel ahas prepared a range of mattresses which makes remember your hotel. 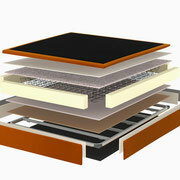 We make mattresses on meausres, in any case please put i touch with our commercial team . 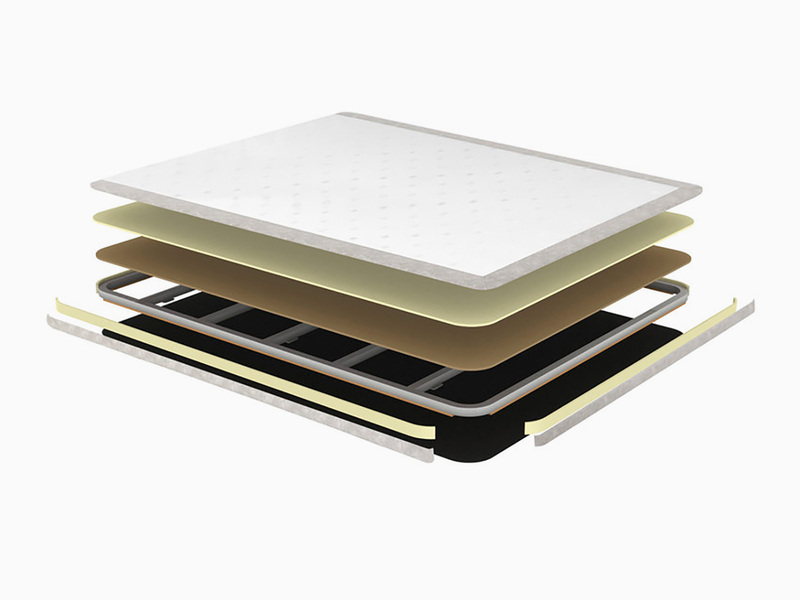 Núcleo formed with foam High Resilience that let you to use it safely and silently. 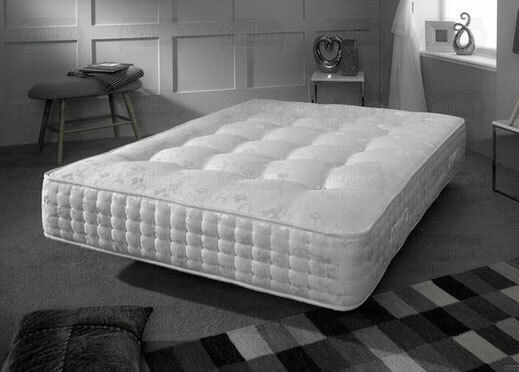 Very adaptable and soft, the 120 it's more than this the model elaborated with fabrics Acaria free for more hygiene. El colchón 320 Contract cuenta con cámara de aire interna. 28% más fresco e higiénico que un colchón de espuma. Mayor concentración de muelles en acero templado. Gran resistencia y durabilidad y alta firmeza. El colchón 320 Contract es muy suave, hipoalergénico y extragrueso. Mantiene las condiciones higiénicas óptimas durante más tiempo. 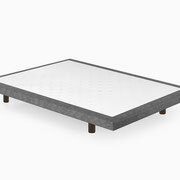 The mattress 520 Contract has a templated stainless steel springs . 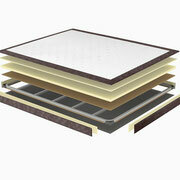 Big resistence and durability with exceptional firmness. Intern air 28% more fresh and hyigienic than a foam mattress . 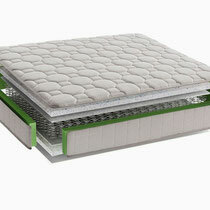 Very soft, the mattress 520 contract is hipoalergenic and extra thick. Maintains the hygienic optimals conditions during the time. The major adaptability . 200% more in number of springs in any another system. Free moving. 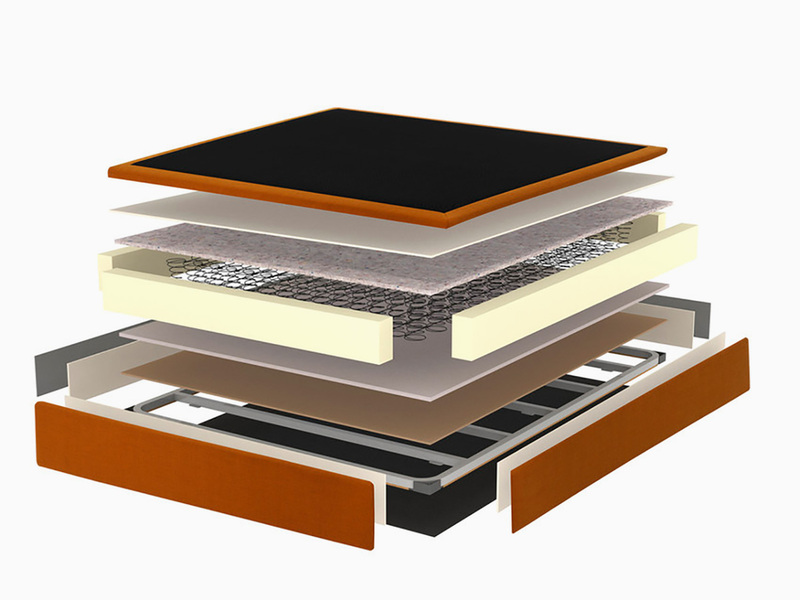 Templated steel : Long life very usefull for the mattress. 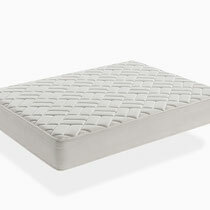 Perfect mattress for distribution of weight, perfect for sleeping in couple. The feeling of being dragged into the bottom middle of the mattresse will disappear . Internal camara of air . 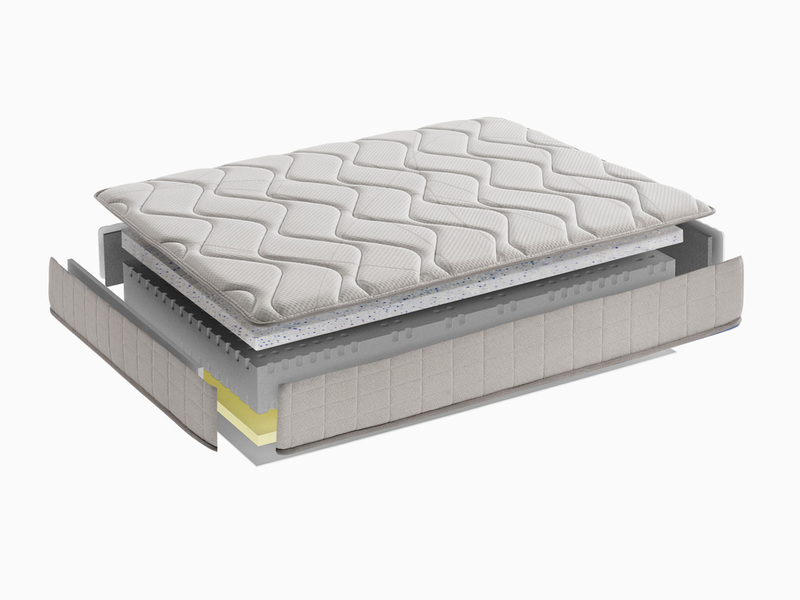 Mattress with 28% more fresh and hygienic than a foam mattress. With very soft fabric, hipoalergenic and extra thick. 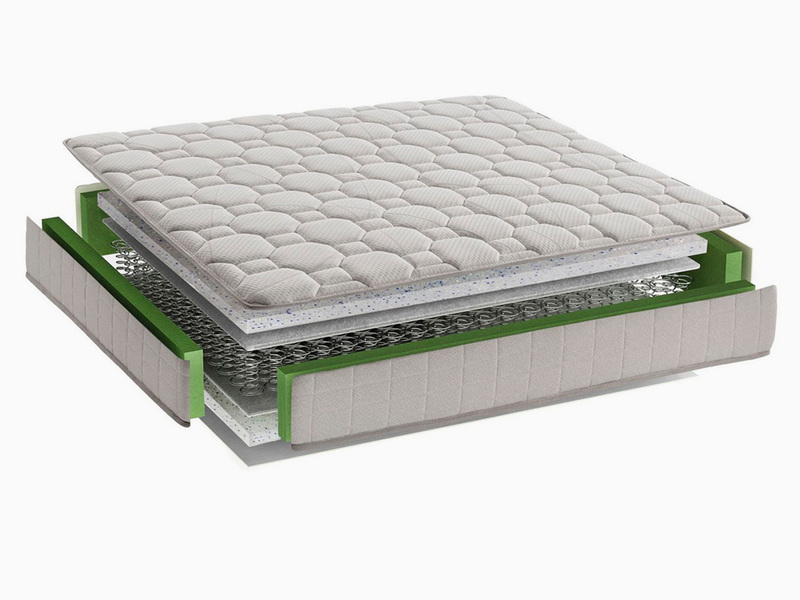 It maintains the optimal hygienic conditions of the mattress althrough the time . 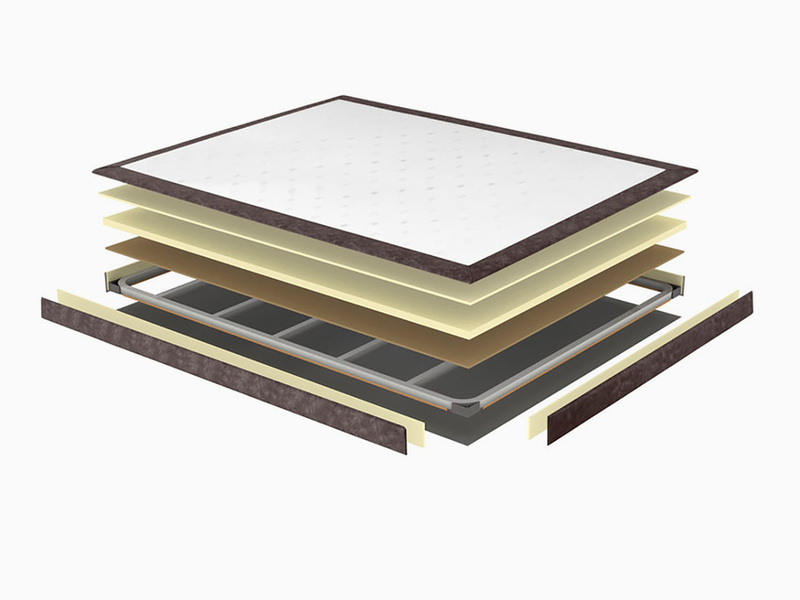 A Sara fibra Pillow has properties hipoalergenics, antimold and antibacterians. 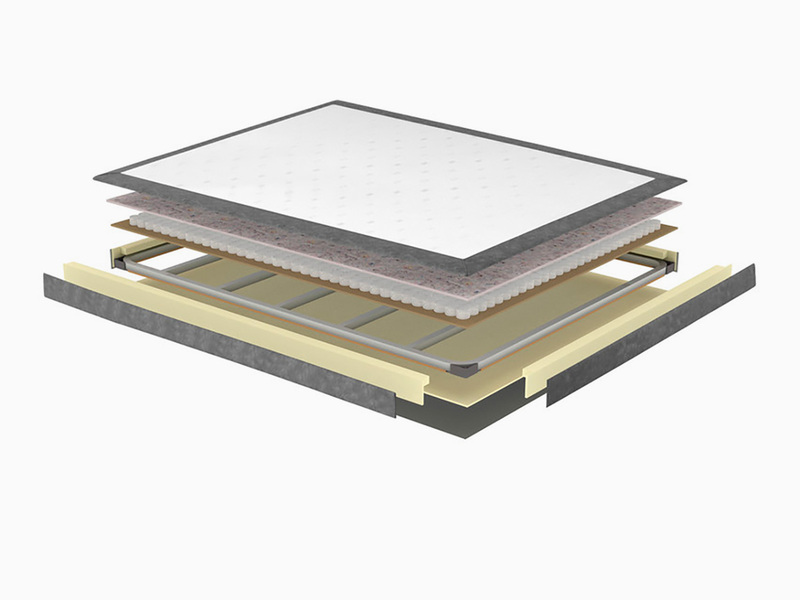 The hollow fiber and silicon ones makes it be transpirable and fresh. The Sara's fiber it's the indicated for that persons which sleep with a face-up or face down because of it thick height, the big adaptability and firmness intermediate. La almohada de fibra Teo has properties gipoalergenics, antimold and antibacterian. 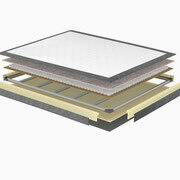 The hollow fiber and silicon ones makes it be transpirable and fresh. With medium firmness and height of 12cm, the pillow with Fiber Teo is like traditional pillows about the comfort . 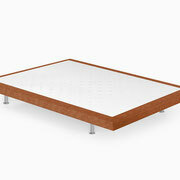 It doble covers permits it a major comfort of cleaning to have a frech and clean sleeping beggining from the head. The Pillow of Fiber Teo is disponible in so of measures and is the best for that whom sleep with face-up or by side. The PillowFélix de tacto plumón has a soft and amazing touch, similar to the natural down, but full of fiber. 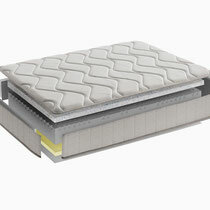 It doble cover permits to clean it comfortably to enjoy a good and clean rest. Félix is a down fresh pillow, disponible in so one of measures to adapt at you and your bed . A Pillow of 11 cm, recommanded for that whom sleep on side and face down, although the importantething to choose the pillow is your own opinion. It's necessary to try before to decide. The Pillow Max visco fibra is a pillow with Visco and Fiber which combine the Viscoelastic and the fiber in just one pillow: Perfect adaptation with a quick recuperation of form. The Pillow Max Visco Fibra is the unic one which combine these two materials and is one of themost adaptable Pillows not only to your head but also for your pocket , being one of the pillows the most economic in the catalogue. 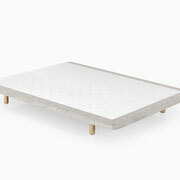 Enjoy the pillow Max Visco Fibra, adaptable and designed for that whom sleep on side or face up, with a height of 15 cm. In TU!HOTEL we want to help you, contact our sales team and they will advise you in every detail and in every moment.